Mick Garris,Tobe Hooper,Stephen King and Clive Barker hanging out. 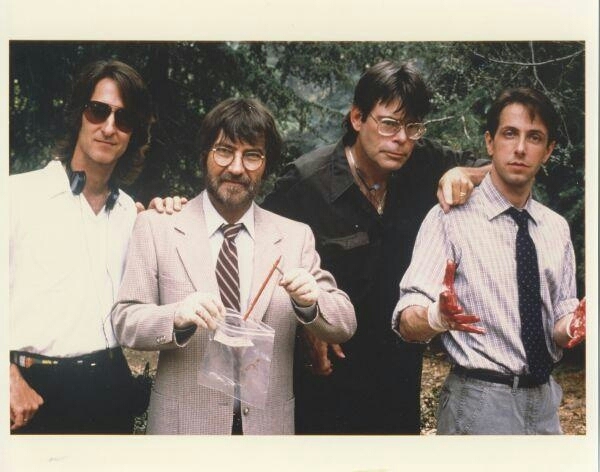 Mick Garris,Tobe Hooper,Stephen King and Clive Barker hanging out on set of “Sleepwalkers” (1992). Pretty sure this is from the set of the bizarro cat people flick Sleepwalkers. Garris (on the left) directed. Hooper and Barker had cameos. ….and the dude on the left is writer/director Mick Garris, not Argento.